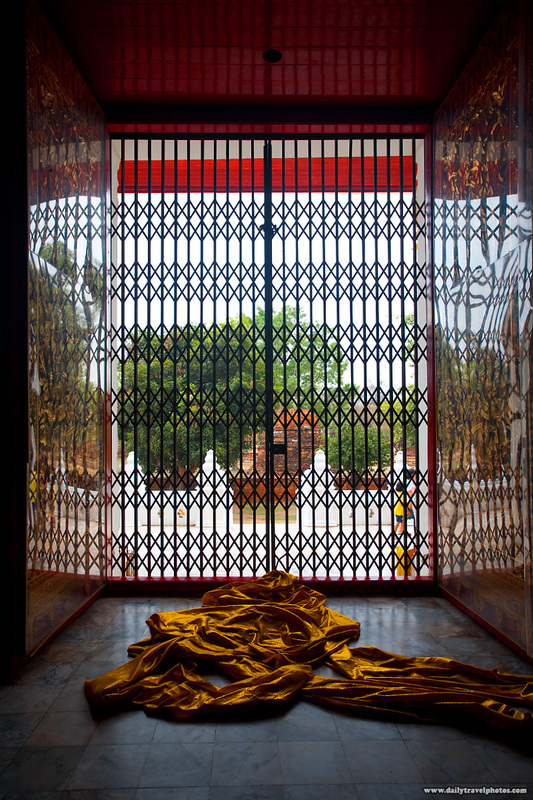 What appears to be the hastily discarded saffron robes of a monk in Ayuthaya. If anyone is familiar with monk's clothes, can you verify if these are actually the genuine articles? And while you're at it, maybe you can speculate as to why a monk would disrobe and leave the scene of the crime - a temple - so hastily.